This week we’re focusing on teaching Caribbean steel pans. The previous three blogs have focused on Indonesian gamelan, Brazilian samba drumming and West African drumming. There are several variants of steel pans in UK schools at the moment with the most common being either ‘5ths & 4ths’ or ‘Invader’. Both these types refer to the configuration of the notes on the pans and also have different tones. The 5ths and 4ths tuning system has on the Tenor/Lead pan a cycle of 5ths going anti-clockwise round the notes on the outside edge (e.g. C, G, D, A etc) and a cycle of 4ths going clockwise (e.g. C, F, Bb, Eb etc). The Invader tuning system initially appears less logical and can be easily identified by a large low F# on the centre of the Tenor/Lead pan. The note layout does, however, assist the player for navigating the melodies of many steel pans pieces but is not so easy for the novice to pick up and the Invader pans therefore are less common nowadays. Tenor/Lead pan - Soprano range - approx 2.5 octaves with lowest note being Middle C. These pans usually play the melody line. Double Seconds - a pair of pans with a range of approx 2 octaves at alto register. Occasionally Single Seconds pans are found which are a single pan of the same alto register but slightly less notes. These pans usually double-up the melody but an octave lower than the Tenor/Lead Pans (hence their name). Double Guitar - a pair of pans at a tenor range with a range of approx 2 octaves. The function of the guitar pans is to play chordal rhythmic patterns (much like a rhythm guitarist in a band - hence their name). Triple Cello - similar to Double Guitar but with a bigger range. 5 or 6 Bass - 5 or 6 pans (with 3 or 4 notes on each pan) that play the bass line. Sometimes TenorBass pans can be found which are essentially very similar to Bass pans but two thirds of the height. These are very useful in primary school settings for children who are not so tall! It’s worth remembering that a traditional Caribbean Steel Pans Band will also include an Engine Room consisting on auxiliary percussion instruments such as a drum kit, maracas, bongos, congas etc. Therefore, you can easily pad out your steel pans set by including several Engine Room players who keep the rhythm moving! It’s possible to replicate a fairly convincing Caribbean calypso on classroom tuned percussion instruments if you use the classic motifs described below. Also, Boomwhackers/WhackerTubes are excellent for creating a Bamboo Tamboo inspired piece with the whole class. See Mike Simpson’s Teach & Play Steel Pans book (published by Rhinegold) for further information. Steel pans sticks (with exception of bass) should be held by just the thumb and index finger with the thumb nail pointing the ceiling. The stick is simply moved by waggling the thumb and index finger in a fluid movement which ensures the pan isn’t struck too strongly and the stick bounces away from the note to create the best possible tone. It’s really important steel pans are not thought of as drums as the playing technique is so different (they’re also obviously made out of completely different materials to drums!) and a usual drum stick technique would seriously damage the pan. There is a rich history of steel pans which dates back to the former West African slaves arriving in Trinidad and Tobago. Although calypso music these days is often called the ‘sunniest music on the planet’, it’s worth researching it’s history with the Calypsonians (a development of the West African Griot) using call and response musical phrases to voice the opinions of the community, how steel pans music’s predecessor was Bamboo Tamboo and how this style of music affected the whole community, then how carnival expressed the feelings of the society in these islands. Further details are in Mike Simpson’s Teach & Play Steel Pans book (published by Rhinegold Education). The melodies can be call and response with the Tenor/Lead Pans playing the call and the rest of the pans answering. In time Calypso music developed into the disco influenced, Soca style with Hot Hot Hot by Arrow being one the most recognisable Soca pieces. Despite this genre of music has such a relative short history compared to other genres, due to their tonal versatility, many styles of music are now frequently heard on pans from popular classical pieces to modern pop songs. It’s fairly uncommon in the UK to see a full class set of steel pans, mainly due to the amount of pans and space needed! Therefore, it’s much more common to have 5-10 player sets which means that the tuition, leadership and classroom management will probably need to be very different from many other genres of world-music played in the classroom. Traditionally the tutor demonstrates each players part one by one, gradually working their way around the group. We’ve found although this method is excellent at modelling good technique and ensuring everyone knows their part well, it can be the cause of lack of concentration with the rest of the group and can be quite a slow method. Therefore, particularly for beginner groups, we’ve found it works better for the tutor to always address the whole group from a central area in the room, start with everyone playing chordal features and then bringing out the melody lines and bass lines. This also ensures everyone understands best how their part fits with others. 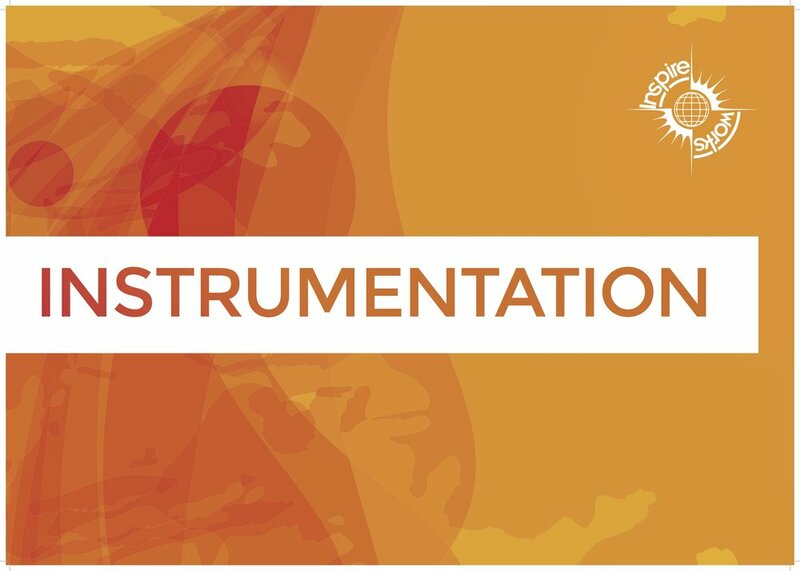 Please see our previous blog on Different Methods for Teaching Music Aurally in Whole-Class Instrumental Lessons for further information on this topic.